Email marketing is a great way to set up a reminder for the customer before a job occurs or to send a thank you, ask for feedback and encourage your customer to rebook after a job has been completed. You’ll be able to see all of the email campaigns that you have set up on the main Email page. You can also toggle the campaigns on or off. 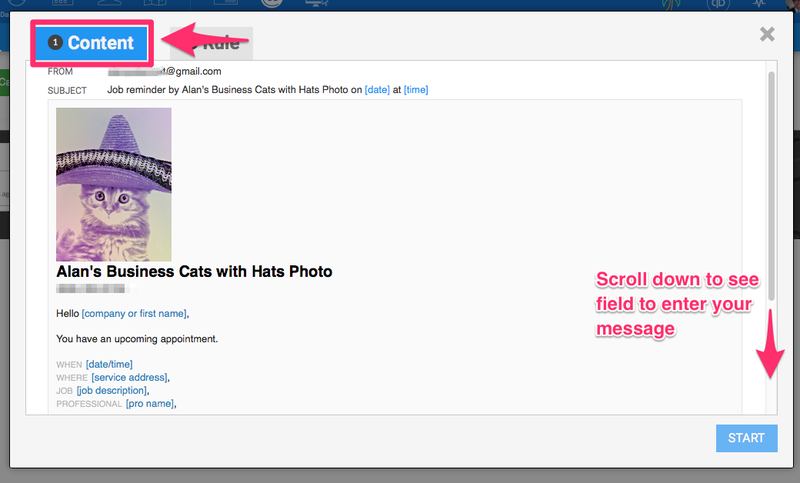 When toggled off, no emails will be sent out from that campaign. Then click the green '+Email Campaign' button. 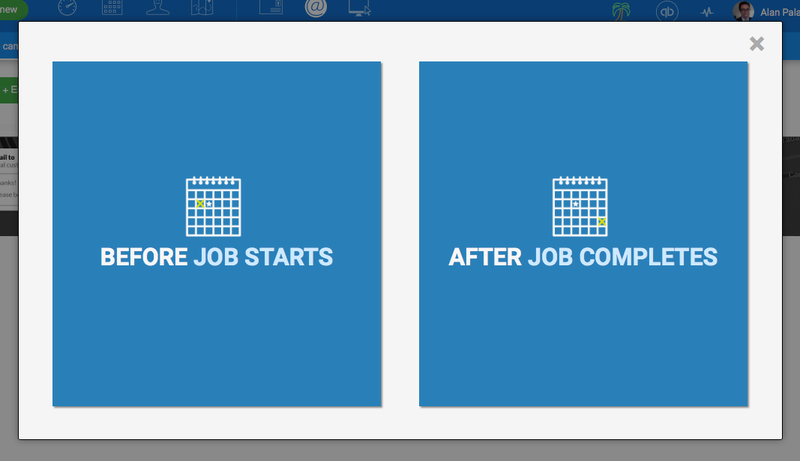 A window will pop open prompting you to select and whether you would like to create a campaign for before a job starts or after a job has been completed. If you select BEFORE JOB STARTS you will see a template that will auto-populate with the specific job information. Everything in brackets [ ] will be entered automatically. At the bottom of the email there is a blank space for you to type an additional message. If you select AFTER JOB STARTS, you will see a blank email form where you can create your own subject line and content. Your customer's name will automatically be entered into the greeting. 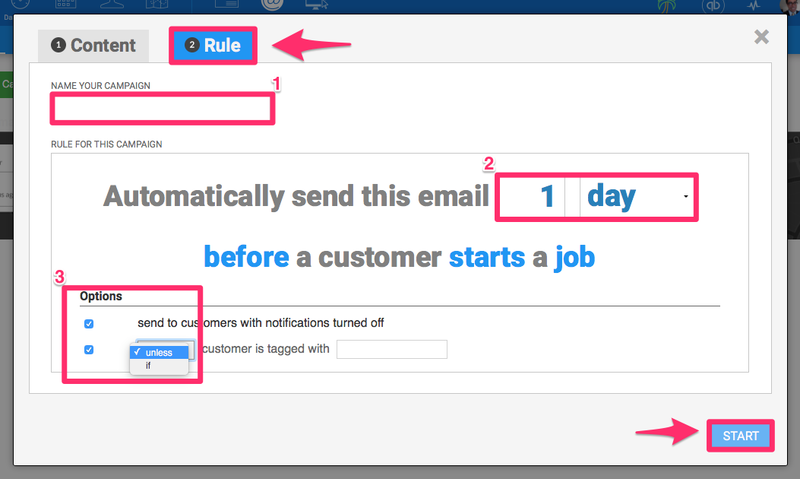 After your email content is complete, click on the 'Rule' tab at the top of the screen. The first step is to name your campaign, then set the rule for when the emails will go out. The rule will tell the system how long before a job is scheduled or after it was completed, to send the email. You can type any number, then choose if you would like it to be that many days or months before/after the job. You'll see two options at the bottom of the screen. The first will send these emails to all customers, even if that customer has automated notifications turned off. 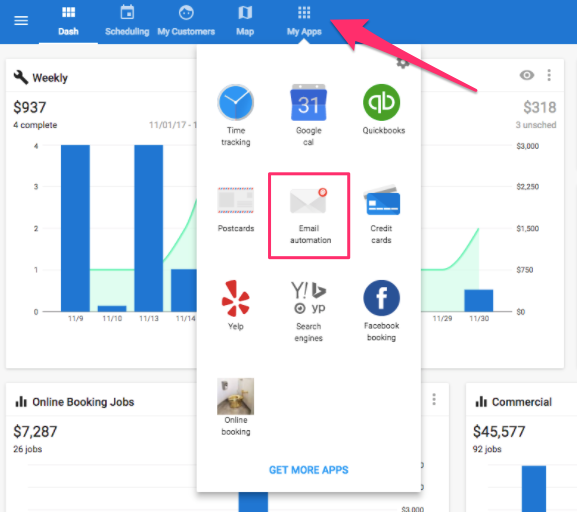 The second will allow you to include or exclude customers based on their customer tags. Once you have set your rule, the blue Start button in the bottom right corner will be clickable to start the campaign.